We are happy to announce that the Health Basket committee has recognized the right to speech. 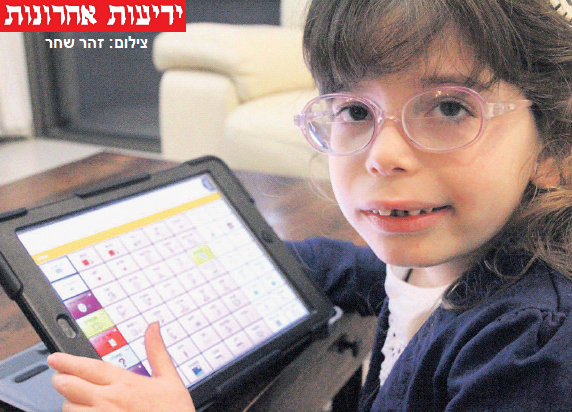 The Committee has authorized the inclusion of augmentative and alternative communication systems in the Health Basket and starting from the beginning of 2015, talking computers will be provided to children and adults with speech impairments by the Health Ministry with public funding. This major achievement is social justice and reform that will enable children and adults to make their voice heard! We want to thank our partners in this journey: The Rett Syndrome Association and the office of Attorney Zisman Aharoni Gare and partners for their contribution, ISAAC Israel (International Society for Augmentative and Alternative Communication, Israel branch), Kesher, and the Israel Association of Speech Therapists. We also want to express our appreciation and gratitude to our partners in presenting the issue to the Health Ministry: Dalit Romem, Director of the Rehabilitation and Mobility Unit, Dr. Orly Herzberg, Chief Speech Therapist at the Health Ministry, and Dr. Etty Samma, Director of the Division for Medical Technologies, who was the person who stood at the head of the inter-ministerial office committee to examine augmentative and alternative communication systems.